I cannot believe I am almost at the end of this series. It is amazing. It has been a labor of love. In the next few days, I shall return to Garrigou-Lagrange. I am thinking of a series looking at perfection in the Patriarchs of the Old Testament. What do you think? Posts will be put on a bit later than usual tomorrow. I am sure St. Augustine felt like I do today. Who is noticing? I cannot cover the entire book here, but have given you sections which will help understand the state of unity. St. John has written so much more, and like the other Doctors of the Church, has much to share with us. However, this will have to be the last post on this great Doctor. Tomorrow, I shall return to Garrigou-Lagrange. As usual, my comments are in blue. By the way, thanks to those readers who have given me positive feedback on this series. Bless you. Wherein are set down the signs which the spiritual person will find in himself whereby he may know at what season it behoves him to leave meditation and reasoning and pass to the state of contemplation. In order that there may be no confusion in this instruction it will be meet in this chapter to explain at what time and season it behoves the spiritual person to lay aside the task of discursive meditation as carried on through the imaginations and forms and figures above mentioned, in order that he may lay them aside neither sooner nor later than when the Spirit bids him; for, although it is meet for him to lay them aside at the proper time in order that he may journey to God and not be hindered by them, it is no less needful for him not to lay aside the said imaginative meditation before the proper time lest he should turn backward. For, although the apprehensions of these faculties serve not as proximate means of union to the proficient, they serve nevertheless as remote means to beginners in order to dispose and habituate the spirit to spirituality by means of sense, and in order to void the sense, in the meantime, of all the other low forms and images, temporal, worldly and natural. We shall therefore speak here of certain signs and examples which the spiritual person will find in himself, whereby he may know whether or not it will be meet for him to lay them aside at this season. Read this carefully, as this is good, practical advice. 2. The first sign is his realization that he can no longer meditate or reason with his imagination, neither can take pleasure therein as he was wont to do aforetime; he rather finds aridity in that which aforetime was wont to captivate his senses and to bring him sweetness. But, for as long as he finds sweetness in meditation, and is able to reason, he should not abandon this, save when his soul is led into the peace and quietness298 which is described under the third head. If things are going well, do not move on. God is meeting you in meditation, which is most easily done with Scripture and in going Ignatian method. But, when one is no longer "cooking with gas" but experiencing difficulties, it may be a sign to move on in aridity to contemplation. 3. The second sign is a realization that he has no desire to fix his mediation or his sense upon other particular objects, exterior or interior. I do not mean that the imagination neither comes nor goes (for even at times of deep299 recollection it is apt to move freely), but that the soul has no pleasure in fixing it of set purpose upon other objects. 4. The third and surest sign is that the soul takes pleasure in being alone, and waits with loving attentiveness upon God, without making any particular meditation, in inward peace and quietness and rest, and without acts and exercises of the faculties — memory, understanding and will — at least, without discursive acts, that is, without passing from one thing to another; the soul is alone, with an attentiveness and a knowledge, general and loving, as we said, but without any particular understanding, and adverting not to that which it is contemplating. This is key. One moves into contemplation which is in the quieted soul. One begins to meet God in this quietness and peace instead of using Scripture. 5. These three signs, at least, the spiritual person must observe in himself, all together, before he can venture safely to abandon the state of meditation and sense,300 and to enter that of contemplation and spirit. Folks, this is hard, but one must persevere. for the which cause he must observe in himself the second likewise, which is the absence of inclination or desire to think upon other things; for, when the inability to fix the imagination and sense upon the things of God proceeds from distraction or lukewarmness, the soul then has the desire and inclination to fix it upon other and different things, which lead it thence altogether. Neither does it suffice that he should observe in himself the first and second signs, if he observe not likewise, together with these, the third; for, although he observe his inability to reason and think upon the things of God, and likewise his distaste for thinking upon other and different things, this might proceed from melancholy or from some other kind of humour in the brain or the heart, which habitually produces a certain absorption and suspension of the senses, causing the soul to think not at all, nor to desire or be inclined to think, but rather to remain in that pleasant state of reverie.301 Against this must be set the third sign, which is loving attentiveness and knowledge, in peace, etc., as we have said. VIP-this quietness is not depression or some type of fear which gives one over to day-dreaming. This is not contemplation, which is focussed on God Himself. 7. It is true, however, that, when this condition first begins, the soul is hardly aware of this loving knowledge, and that for two reasons. First, this loving knowledge is apt at the beginning to be very subtle and delicate, and almost imperceptible to the senses. Secondly, when the soul has been accustomed to that other exercise of meditation, which is wholly perceptible, it is unaware, and hardly conscious, of this other new and imperceptible condition, which is purely spiritual; especially when, not understanding it, the soul allows not itself to rest in it, but strives after the former, which is more readily perceptible; so that abundant though the loving interior peace may be, the soul has no opportunity of experiencing and enjoying it. But the more accustomed the soul grows to this, by allowing itself to rest, the more it will grow therein and the more conscious it will become of that loving general knowledge of God, in which it has greater enjoyment than in aught else, since this knowledge causes it peace, rest, pleasure and delight without labour. Now, the way of contemplation become "normal". One moves into prayer easily from work to prayer, as long as one can be silent to a certain point. God calls one quietly over and over again. One must be aware of this call and respond. It is too easy to persist in self-will and say "no". Keep the conversation going. So far, the comments have been great and thanks to all. I shall do a few more on this great writer of perfection and then move on to Garrigou-Lagrange. There are not enough hours in the day to do all I need to do! I hope this series is helpful to all my brothers and sisters who read this blog. This section is the strongest words of John of the Cross on the chasing after by good people of visions and consolations. Do Not Do This. As usual, my comments are in blue. I shall try and unpack these chapters here. Wherein distinction is made between all apprehensions and types of knowledge which can be comprehended by the understanding. In order to treat in detail of the profit and the harm which may come to the soul, with respect to this means to Divine union which we have described — namely, faith — through the ideas and apprehensions of the understanding, it is necessary here to make a distinction between all the apprehensions, whether natural or supernatural, that the soul may receive, so that then, with regard to each of them in order, we may direct the understanding with greater clearness into the night and obscurity of faith. This will be done with all possible brevity. 2. It must be known, then, that the understanding can receive knowledge and intelligence by two channels: the one natural and the other supernatural. By the natural channel is meant all that the understanding can understand, whether by means of the bodily senses or by its own power.277 The supernatural channel is all that is given to the understanding over and above its natural ability and capacity. 3. Of these kinds of supernatural knowledge, some are corporeal and some are spiritual. The corporeal are two in number: some are received by means of the outward bodily senses; others, by means of the inward bodily senses, wherein is comprehended all that the imagination can comprehend, form and conceive. 4. The spiritual supernatural knowledge is likewise of two kinds: that which is distinct and special in its nature, and that which is confused, general and dark. Of the distinct and special kind there are four manners of apprehension which are communicated to the spirit without the aid of any bodily sense: these are visions, revelations, locutions and spiritual feelings. The obscure and general type of knowledge is of one kind alone, which is contemplation that is given in faith. To this we have to lead the soul by bringing it thereto through all these other means, beginning with the first and detaching it from them. Because there are now too many false visionaries, there is great confusion among even good Catholics regarding visionaries or seers. Some so-called seers are merely communicating their own personal meditations in prayer, which I do sometimes on this blog. These are NOT revelations or vision or locutions or spiritual feelings, but merely the fruit of meditation, which all Catholics can do. However, in this age, many people are seeking gnostic knowledge, either out of fear, in order to feel more secure, or in pride, in order to feel more superior than others with so-called esoteric knowledge. John is warning us against.such falsities here. Of the hindrance and harm that may be caused by apprehensions of the understanding which proceed from that which is supernaturally represented to the outward bodily senses; and how the soul is to conduct itself therein. The first kinds of knowledge whereof we have spoken in the preceding chapter are those that belong to the understanding and come through natural channels. Of these, since we have treated them already in the first book, where we led the soul into the night of sense, we shall here say not a word, for in that place we gave suitable instruction to the soul concerning them. What we have to treat, therefore, in the present chapter, will be solely those kinds of knowledge and those apprehensions which belong to the understanding and come supernaturally, by way of the outward bodily senses — namely, by seeing, hearing, smelling, tasting and touching. With respect to all these there may come, and there are wont to come, to spiritual persons representations and objects of a supernatural kind. With respect to sight, they are apt to picture figures and forms of persons belonging to the life to come — the forms of certain saints, and representations of angels, good and evil, and certain lights and brightnesses of an extraordinary kind. And with the ears they hear certain extraordinary words, sometimes spoken by those figures that they see, sometimes without seeing the person who speaks them. As to the sense of smell, they sometimes perceive the sweetest perfumes with the senses, without knowing whence they proceed. Likewise, as to taste, it comes to pass that they are conscious of the sweetest savours, and, as to touch, they experience great delight — sometimes to such a degree that it is as though all the bones and the marrow rejoice and sing278 and are bathed in delight; this is like that which we call spiritual unction, which in pure souls proceeds from the spirit and flows into the very members. And this sensible sweetness is a very ordinary thing with spiritual persons, for it comes to them from their sensible affection and devotion,279 to a greater or a lesser degree, to each one after his own manner. Not all saints experience such. Some do, such as Bernadette, Francesco, Padre Pio and Francis of Assisi. These gifts are not to be sought, but if given, gratefully accepted in humility. The person I described in the last post has experienced real consolations from God but has never sought these. Those who rely on seeking consolations must be warned. It is the pure souls who see such mysteries, as God ordains. One cannot skip steps to perfection. 2. And it must be known that, although all these things may happen to the bodily senses in the way of God, we must never rely upon them or accept them, but must always fly from them, without trying to ascertain whether they be good or evil; for, the more completely exterior and corporeal they are, the less certainly are they of God. For it is more proper and habitual to God to communicate Himself to the spirit, wherein there is more security and profit for the soul, than to sense, wherein there is ordinarily much danger and deception; for bodily sense judges and makes its estimate of spiritual things by thinking that they are as it feels them to be, whereas they are as different as is the body from the soul and sensuality280 from reason. For the bodily sense is as ignorant of spiritual things as is a beast of rational things, and even more so. Bodily consolations or happenings must be suspected. These are the easiest for the evil one to imitate. Also, our own imaginations are capable of creating such things. 3. So he that esteems such things errs greatly and exposes himself to great peril of being deceived; in any case he will have within himself a complete impediment to the attainment of spirituality. For, as we have said, between spiritual things and all these bodily things there exists no kind of proportion whatever. And thus it may always be supposed that such things as these are more likely to be of the devil than of God; for the devil has more influence in that which is exterior and corporeal, and can deceive a soul more easily thereby than by that which is more interior and spiritual. This is SO important to read and take in. One must not follow seers which the Church has condemned or warned us against. This is a dangerous course to take, as satan does not care how you get to hell, but that you get there. Some condemned and warned seers are being followed by Catholics. This is gnosticism and pride on the part of the followers. Be humble and obey the Church. Satan is much more intelligent than you and I are. 4. And the more exterior are these corporeal forms and objects in themselves, the less do they profit the interior and spiritual nature, because of the great distance and the lack of proportion existing between the corporeal and the spiritual. For, although there is communicated by their means a certain degree of spirituality, as is always the case with things that come from God, much less is communicated than would be the case if the same things were more interior and spiritual. And thus they very easily become the means whereby error and presumption and vanity grow in the soul; since, as they are so palpable and material, they stir the senses greatly, and it appears to the judgment of the soul that they are of greater importance because they are more readily felt. Thus the soul goes after them, abandoning faith and thinking that the light which it receives from them is the guide and means to its desired goal, which is union with God. But the more attention it pays to such things, the farther it strays from the true way and means, which are faith. Those adults who persist in the charismatic renewal can be caught up in this false seeking for consolations. The senses do not bring us to the higher gifts of illumination and unity. 5. And, besides all this, when the soul sees that such extraordinary things happen to it, it is often visited, insidiously and secretly by a certain complacency, so that it thinks itself to be of some importance in the eyes of God; which is contrary to humility. The devil, too, knows how to insinuate into the soul a secret satisfaction with itself, which at times becomes very evident; wherefore he frequently represents these objects to the senses, setting before the eyes figures of saints and most beauteous lights; and before the ears words very much dissembled; and representing also sweetest perfumes, delicious tastes281 and things delectable to the touch; to the end that, by producing desires for such things, he may lead the soul into much evil. These representations and feelings, therefore, must always be rejected; for, even though some of them be of God, He is not offended by their rejection, nor is the effect and fruit which He desires to produce in the soul by means of them any the less surely received because the soul rejects them and desires them not. We have a great tendency to pride and self-importance. Sometimes, this is called the sin of vainglory. The evil one knows this and preys upon our imaginations. God is pleased when we reject these temptations to sensual spiritual experiences. Just as with false pleasures, which leave one feeling empty and void of meaning, so too these false visions do the same. Those real experiences from God change us, convert us, purify us from sin. 7. The soul, then, must never presume to desire to receive them, even though, as I say, they be of God; for, if it desire to receive them, there follow six inconveniences. The first is that faith grows gradually less; for things that are experienced by the senses derogate from faith; since faith, as we have said, transcends every sense. And thus the soul withdraws itself from the means of union with God when it closes not its eyes to all these things of sense. Secondly, if they be not rejected, they are a hindrance to the spirit, for the soul rests in them and its spirit soars not to the invisible. This was one of the reasons why the Lord said to His disciples that it was needful for Him to go away that the Holy Spirit might come; so, too, He forbade Mary Magdalene to touch His feet, after His resurrection, that she might be grounded in faith. Thirdly, the soul becomes attached to these things and advances not to true resignation and detachment of spirit. THIS IS SO IMPORTANT. I have seen good Catholics lose their faith in the Church by false prophets, false seers and false consolations. This preoccupation with such will STOP the progress of perfection. One becomes so fascinated by the people and messages, that one forgets Christ and His Church. Fourthly, it begins to lose the effect of them and the inward spirituality which they cause it, because it sets its eyes upon their sensual aspect, which is the least important. And thus it receives not so fully the spirituality which they cause, which is impressed and preserved more securely when all things of sense are rejected, since these are very different from pure spirit. Sixthly, a readiness to accept them opens the door to the devil that he may deceive the soul by other things like to them, which he very well knows how to dissimulate and disguise, so that they may appear to be good; for, as the Apostle says, he can transform himself into an angel of light.284 Of this we shall treat hereafter, by the Divine favour, in our third book, in the chapter upon spiritual gluttony. 9. In these favours, if the soul be faithful and humble,287 the Lord will not cease until He has raised it from one step to another, even to Divine union and transformation. For Our Lord continues to prove the soul and to raise it ever higher, so that He first gives it things that are very unpretentious and exterior and in the order of sense, in conformity with the smallness of its capacity; to the end that, when it behaves as it should, and receives these first morsels with moderation for its strength and sustenance, He may grant it further and better food. If, then, the soul conquer the devil upon the first step, it will pass to the second; and if upon the second likewise, it will pass to the third; and so onward, through all seven mansions,288 which are the seven steps of love, until the Spouse shall bring it to the cellar of wine of His perfect charity. Be humble, be patient, be orthodox. 11. The spiritual person, then, has to deny himself all the apprehensions, and the temporal delights, that belong to the outward senses, if he will destroy the first and the second head of this beast, and enter into the first chamber of love, and the second, which is of living faith, desiring neither to lay hold upon, nor to be embarrassed by, that which is given to the senses, since it is this that derogates most from faith. 12. It is clear, then, that these sensual apprehensions and visions cannot be a means to union, since they bear no proportion to God; and this was one of the reasons why Christ desired that the Magdalene and Saint Thomas should not touch Him. And so the devil rejoices greatly when a soul desires to receive revelations, and when he sees it inclined to them, for he has then a great occasion and opportunity to insinuate errors and, in so far as he is able, to derogate from faith; for, as I have said, he renders the soul that desires them very gross, and at times even leads it into many temptations and unseemly ways. 13. I have written at some length of these outward apprehensions in order to throw and shed rather more light on the others, whereof we have to treat shortly. There is so much to say on this part of my subject that I could go on and never end. I believe, however, that I am summarizing it sufficiently by merely saying that the soul must take care never to receive these apprehensions, save occasionally on another person’s advice, which should very rarely be given, and even then it must have no desire for them. I think that on this part of my subject what I have said is sufficient. There is a misunderstanding among some Catholics and many Christians of other denominations, that the process of holiness is anti-intellectual. It is NOT. But, there is a time when one must face that the intellect is totally inadequate in attaining knowledge of God. 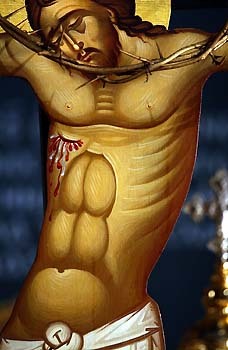 One remembers St. Thomas Aquinas' famous saying that all he wrote was "straw", after he had a vision of God in Glory. But, as I have mentioned before, one must have the Mind of Christ with regard to the Church's Teaching before getting to these states. A cooperation with grace does not mean that one has to have a doctorate in theology, but that one accepts the basic truths and is in obedience. The Catholic Church has always valued the intellect and began the great institution of schools and liberal arts. We are not a religion of feeling and emotion, but of reason and deliberation. Man Catholics get led astray in the pursuit of emotional highs. St. John warns us against this. One must go on to realize that one's idea of God is limited, and be open to God revealing Himself. But, He would never reveal Himself in a way contrary to the Teaching Magisterium of the Church, as He has ordained that is the way to Truth. We do not "hold" God. He hold us and leads us more and more into the knowledge of His Person. How faith is the proximate and proportionate means to the understanding whereby the soul may attain to the Divine union of love. This is proved by passages and figures from Divine Scripture. I know one woman who has experienced this. She is about 75. Her way to God has been through a life of suffering, with no complaints. She has not sought out consolations or mystical experiences. But, God in His Goodness has visited her many times in her life. She has no higher degree, but is a whizz with languages and has much knowledge of the Holy Scriptures. She is a Catholic and agrees with all the teachings of the Catholic Church. Her way has been one of grace, walking in faith alone. 2. By his saying that He set darkness beneath His feet, and that He took the darkness for a hiding-place, and that His tabernacle round about Him was in the dark water, is denoted the obscurity of the faith wherein He is concealed. And by his saying that He rose upon the cherubim and flew upon the wings of the winds, is understood His soaring above all understanding. For the cherubim denote those who understand or contemplate. And the wings of the winds signify the subtle and lofty ideas and conceptions of spirits, above all of which is His Being, and to which none, by his own power, can attain. The Old Testament describes what the Rabbis came to call The Shekinah Glory. This was a dark fog which came into the Temple and denoted the Presence of God. This is the concealed Presence. Christ in the Eucharist is also a concealed Presence, which we accept on faith. 3. This we learn from an illustration in the Scriptures. 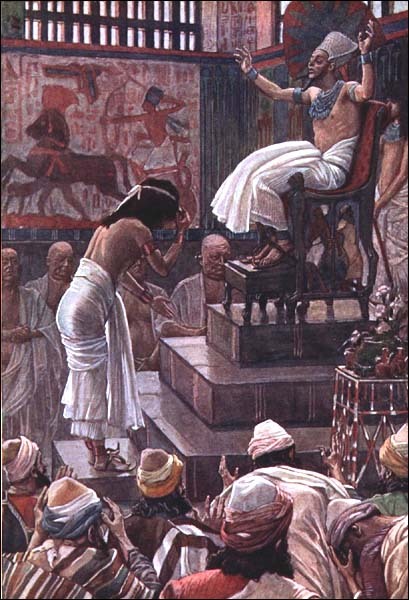 When Solomon had completed the building of the Temple, God came down in darkness and filled the Temple so that the children of Israel could not see; whereupon Solomon spake and said: ‘The Lord hath promised that He will dwell in darkness’.273 Likewise He appeared in darkness to Moses on the Mount, where God was concealed. And whensoever God communicated Himself intimately, He appeared in darkness, as may be seen in Job, where the Scripture says that God spoke with him from the darkness of the air.274 All these mentions of darkness signify the obscurity of the faith wherein the Divinity is concealed, when It communicates Itself to the soul; which will be ended when, as Saint Paul says, that which is in part shall be ended,275 which is this darkness of faith, and that which is perfect shall come, which is the Divine light. Of this we have a good illustration in the army of Gedeon, whereof it is said all the soldiers had lamps in their hands, which they saw not, because they had them concealed in the darkness of the pitchers; but, when these pitchers were broken, the light was seen.276 Just so does faith, which is foreshadowed by those pitchers, contain within itself Divine light; which, when it is ended and broken, at the ending and breaking of this mortal life, will allow the glory and light of the Divinity, which was contained in it, to appear. 4. It is clear, then, that, if the soul in this life is to attain to union with God, and commune directly with Him, it must unite itself with the darkness whereof Solomon spake, wherein God had promised to dwell, and must draw near to the darkness of the air wherein God was pleased to reveal His secrets to Job, and must take in its hands, in darkness, the jars of Gedeon, that it may have in its hands (that is, in the works of its will) the light, which is the union of love, though it be in the darkness of faith, so that, when the pitchers of this life are broken, which alone have kept from it the light of faith, it may see God face to face in glory. 5. It now remains to describe in detail all the types of knowledge and the apprehensions which the understanding can receive; the hindrance and the harm which it can receive upon this road of faith; and the way wherein the soul must conduct itself so that, whether they proceed from the senses or from the spirit, they may cause it, not harm, but profit. The writings of St. John make one, forces one, to face where one really is in the spiritual life. One must be painfully honest with one's self and one's confessor. When I look back at lost opportunities for growth and grace, I am ashamed. But, God is good and keeps wooing us to Himself. Even if we make bad choices, or no choices, He is there calling us on. In this chapter, one sees clearly why this good saint is also a Doctor of the Church. Which describes in a general way how no creature and no knowledge that can be comprehended by the understanding can serve as a proximate means of Divine union with God. Before we treat of the proper and fitting means of union with God, which is faith, it behoves us to prove how no thing, created or imagined, can serve the understanding as a proper means of union with God; and how all that the understanding can attain serves it rather as an impediment than as such a means, if it should desire to cling to it. And now, in this chapter, we shall prove this in a general way, and afterwards we shall begin to speak in detail, treating in turn of all kinds of knowledge that the understanding may receive from any sense, whether inward or outward, and of the inconveniences and evils that may result from all these kinds of inward and outward knowledge, when it clings not, as it progresses, to the proper means, which is faith. 2. It must be understood, then, that, according to a rule of philosophy, all means must be proportioned to the end; that is to say, they must have some connection and resemblance with the end, such as is enough and sufficient for the desired end to be attained through them. I take an example. A man desires to reach a city; he has of necessity to travel by the road, which is the means that brings him to this same city and connects256 him with it. Another example. Fire is to be combined and united with wood; it is necessary that heat, which is the means, shall first prepare the wood, by conveying to it so many degrees of warmth that it will have great resemblance and proportion to fire. Now if one would prepare the wood by any other than the proper means — namely, with heat — as, for example, with air or water or earth, it would be impossible for the wood to be united with the fire, just as it would be to reach the city without going by the road that leads to it. Wherefore, in order that the understanding may be united with God in this life, so far as is possible, it must of necessity employ that means that unites it with Him and that bears the greatest resemblance to Him. Basically, we must do what we need to do to get to God. He is there calling us constantly, but we must respond. I have written here before, that St. David, King, understood the way of perfection. 3. Here it must be pointed out that, among all the creatures, the highest or the lowest, there is none that comes near to God or bears any resemblance to His Being. For, although it is true that all creatures have, as theologians say, a certain relation to God, and bear a Divine impress (some more and others less, according to the greater or lesser excellence of their nature), yet there is no essential resemblance or connection between them and God — on the contrary, the distance between their being and His Divine Being is infinite. Wherefore it is impossible for the understanding to attain to God by means of the creatures, whether these be celestial or earthly, inasmuch as there is no proportion or resemblance between them. Wherefore, when David speaks of the heavenly creatures, he says: ‘There is none among the gods like unto Thee, O Lord’;257 meaning by the gods the angels and holy souls. And elsewhere: ‘O God, Thy way is in the holy place. What God is there so great as our God?’258 As though he were to say: The way of approach to Thee, O God, is a holy way — that is, the purity of faith. For what God can there be so great? That is to say: What angel will there be so exalted in his being, and what saint so exalted in glory, as to be a proportionate and sufficient road by which a man may come to Thee? And the same David, speaking likewise of earthly and heavenly things both together, says: ‘The Lord is high and looketh on lowly things, and the high things He knoweth afar off’259 As though he had said: Lofty in His own Being, He sees that the being of things here below is very low in comparison with His lofty Being; and the lofty things, which are the celestial creatures, He sees and knows to be very far from His Being. All the creatures, then, cannot serve as a proportionate means to the understanding whereby it may reach God. God has, in His Goodness, given us wise guides on the way to perfection. And, we must be honest about our limitations regarding this intense walk. 4. Just so all that the imagination can imagine and the understanding can receive and understand in this life is not, nor can it be, a proximate means of union with God. For, if we speak of natural things, since understanding can understand naught save that which is contained within, and comes under the category of, forms and imaginings of things that are received through the bodily senses, the which things, we have said, cannot serve as means, it can make no use of natural intelligence. And, if we speak of the supernatural (in so far as is possible in this life of our ordinary faculties), the understanding in its bodily prison has no preparation or capacity for receiving the clear knowledge of God; for such knowledge belongs not to this state, and we must either die or remain without receiving it. Wherefore Moses, when he entreated God for this clear knowledge, was told by God that he would be unable to see Him, in these words: ‘No man shall see Me and remain alive.’260 Wherefore Saint John says: ‘No man hath seen God at any time,261 neither aught that is like to Him.’ And Saint Paul says, with Isaias: ‘Eye hath not seen Him, nor hath ear heard Him, neither hath it entered into the heart of man.’262 And it is for this reason that, as is said in the Acts of the Apostles,263 Moses, in the bush, durst not consider for as long as God was present; for he knew that his understanding could make no consideration that was fitting concerning God, corresponding to the sense which he had of God’s presence. And of Elias, our father, it is said that he covered his face on the Mount in the presence of God264 — an action signifying the blinding of his understanding, which he wrought there, daring not to lay so base a hand upon that which was so high, and seeing clearly that whatsoever he might consider or understand with any precision would be very far from God and completely unlike Him. It is pride, the greatest sin of all, which separates us from God. We do not see what we really what or who we are. We have exaggerated ideas of who we are and what we are doing. 5. Wherefore no supernatural apprehension or knowledge in this mortal state can serve as a proximate means to the high union of love with God. For all that can be understood by the understanding, that can be tasted by the will, and that can be invented by the imagination is most unlike to God and bears no proportion to Him, as we have said. All this Isaias admirably explained in that most noteworthy passage, where he says: ‘To what thing have ye been able to liken God? Or what image will ye make that is like to Him? Will the workman in iron perchance be able to make a graven image? Or will he that works gold be able to imitate Him265 with gold, or the silversmith with plates of silver?’266 By the workman in iron is signified the understanding, the office of which is to form intelligences and strip them of the iron of species and images. By the workman in gold is understood the will, which is able to receive the figure and the form of pleasure, caused by the gold of love. By the silversmith, who is spoken of as being unable to form267 Him with plates of silver, is understood the memory, with the imagination, whereof it may be said with great propriety that its knowledge and the imaginings that it can invent268 and make are like plates of silver. And thus it is as though he had said: Neither the understanding with its intelligence will be able to understand aught that is like Him, nor can the will taste pleasure and sweetness that bears any resemblance to that which is God, neither can the memory set in the imagination ideas and images that represent Him. It is clear, then, that none of these kinds of knowledge can lead the understanding direct to God; and that, in order to reach Him, a soul must rather proceed by not understanding than by desiring to understand; and by blinding itself and setting itself in darkness, rather than by opening its eyes, in order the more nearly to approach the ray Divine. If you read my long poem the other day, you will see that I am struggling with this idea of imagination and memory. What does one give up? What does one hold dear? Must all memory, understanding and will be given to Christ in order to pursue perfection? The answer lies in love. We cannot give unless we love. By the way, even Aristotle understood the mystic way of men. How is it that this path is being ignored in the 21st Century? 7. But we should never end if we continued at this rate to quote authorities and arguments to prove and make clear that among all created things, and things that can be apprehended by the understanding, there is no ladder whereby the understanding can attain to this high Lord. Rather it is necessary to know that, if the understanding should seek to make use of all these things, or of any of them, as a proximate means to such union, they would be not only a hindrance, but even an occasion of numerous errors and delusions in the ascent of this mount. One of the saddest problems of our day is the lack of priests and nuns who understand this way of perfection. So many have not pursued it themselves, and, therefore, cannot aid those who want to go on this path. If you are fortunate to find a priest or nun who can guide you, as the Scriptures say, "If you find a wise man, beat a path to his door."